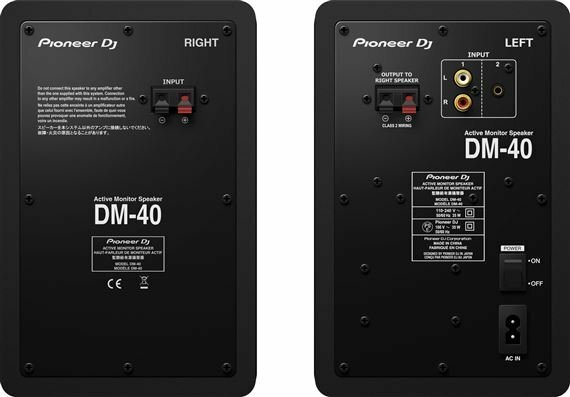 Order your Pioneer DJ Starter Pack DDJ400 DM40 and HDJX5 Headphones from AMS and enjoy 0% Interest Payment Plans, Free Shipping, Free Extended Warranty & 45 Day Money Back Guarantee. Start DJing right out of the box. 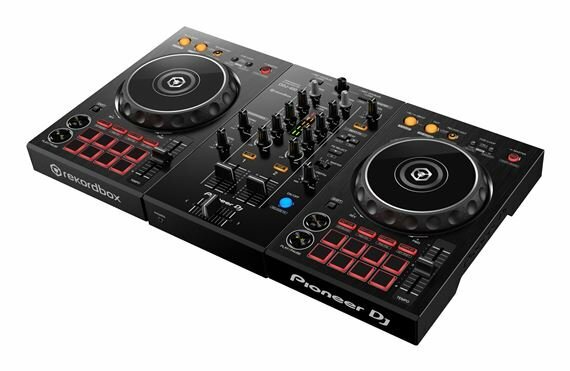 The DJ Starter Pack by Pioneer DJ includes the DDJ-400 DJ controller, DM-40 4” monitors and HDJ-X5-K DJ headphone at a great value (save $38.00). 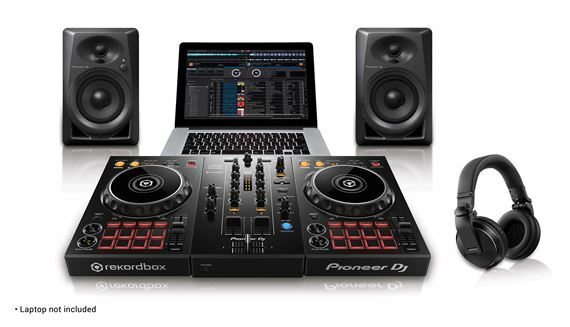 Bring your mixes to life with the DDJ-400 controller. Professional features with an intuitive layout, the DDJ-400 controller is made for dedicated use with Pioneer's professional performance application, rekordbox dj (free license key included). 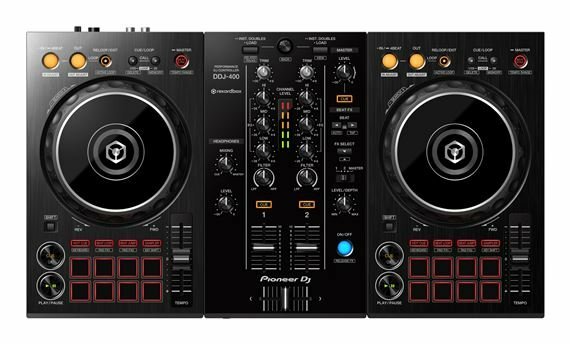 The 2-channel DDJ-400 is designed to help you get the most from the new features coming to the software with the release of rekordboxTM ver 5.3. If you want to try DJing at home and see how far you can take it, Pioneer has created the perfect controller to learn on: the DDJ-400. Built-in sound card (audio interface) – plug and play by simply connecting the controller to your PC/Mac using a single USB cable. USB bus powered – no need to plug into the mains. Thanks to the lightweight and portable design, you can take the DDJ-400 to friends’ houses to practice together or bring it to parties and small venues to perform. And if you want to take mixing to the next level, you’ll feel at home in the club DJ booth because the DDJ-400 inherits design traits from our professional range. The layout of dedicated play/pause and cue buttons, Beat FX, CDJ-style looping controls and more is inherited from our NXS2 set-up. A license key for rekordbox dj worth $129 is included with the DDJ-400 so you can plug it into your PC or Mac straight out of the box and start mixing. If you already own rekordbox dj, upgrade to the latest version to use the controller. •	Era: tracks with a close year of release. •	Mood: tracks with a similar mood. •	Association: tracks sharing traits such as artist, label, etc. 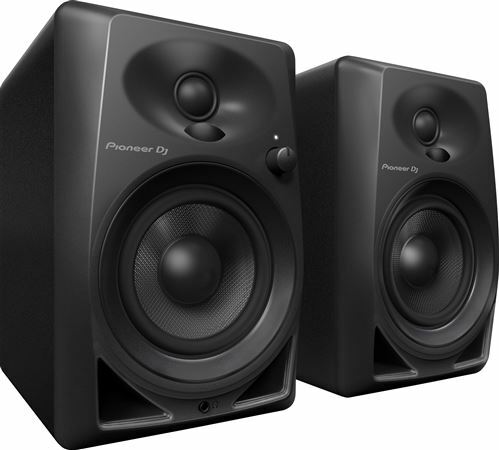 Designed and optimized to bring high quality audio to your home studio. 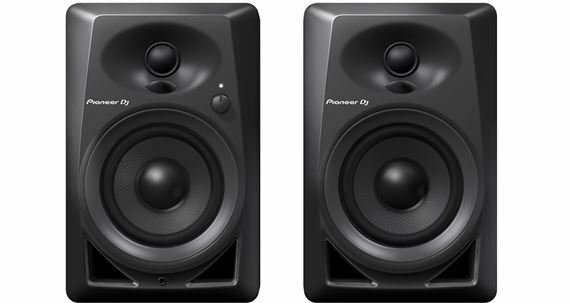 The versatile DM-40 desktop monitors feature technology from Pioneer's professional S-DJX series and Pro Audio speakers such as a front-loaded bass reflex system for a rich, tight bass and DECO* technology for a wider reach and sweet spot. The DM-40's 3/4-inch soft dome tweeters are fitted with DECO convex diffusers that channel high frequencies in every direction. So you’ll enjoy a wide sweet spot and 3D stereo sound wherever you sit or stand. Thanks to top-shelf components and a 5 - 30000 Hz response DJs will hear tracks loud and clear in the booth and on the move with the HDJ-X5. 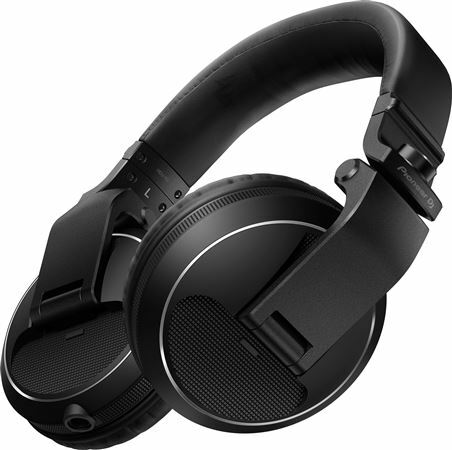 By taking on board feedback from DJs and analyzing many different styles of monitoring, we’ve made sure our new DJ headphone range includes all the features needed for performing at every level. High-quality audio design is inherited from Pioneer’s previous professional DJ headphones, so you can enjoy distortion-free monitoring, even at high volumes, wherever you go. * Tutorial is available in English and Japanese languages as of 19 June 2018. * Mixcloud is a registered trademark of Mixcloud Limited. * YouTube is a trade name or registered trademark of Google LLC. * KUVO is a registered trademark of Pioneer DJ Corporation. I love that it's perfect for my apartment. Easy to move. Sounds great! I love the headphones!! The equipment works pretty well. However,I’m having an issue of having to restart the system frequently. All my friends that come over cant walk away from this game board! As a beginner in the deejay world, this controller has so much to offer! Pioneer always making creative ways for everyone to enjoy! I bought two as Christmas presents for my young adult children and they both loved it! Set up was easy and quick. Both are novices and had no trouble getting started. They were a big hit with the entire family. I would definitely recommend this for all new DJs.